WOW! Second units allowed on Single Family residences!! Yep! 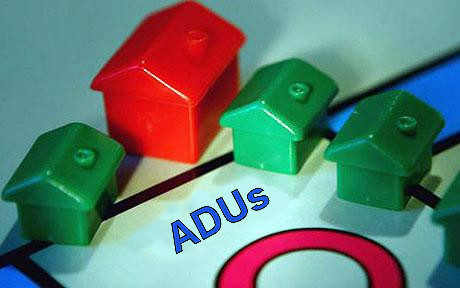 It’s a STATE law that is now allowing single family homes to have secondary units (also referred to as accessory dwelling units (ADUs) or in-law/granny suites). The secondary unit can be up to 50% of the home size (up to a max of 1,200 sq ft)! There is no additional covered parking requirement, side and back setbacks no more than 5 feet on new space, and setbacks don’t apply for existing space. 1) We are growing faster than we are building and there aren’t enough homes. The thought is rental income from the second unit will allow more people to buy. So we will probably be seeing more garage conversions and more cars parked in the driveway and yard???? This is a STATE law that overrides local laws! This is my interpretation of this law, with some input from various sources. As I am not an attorney, I would recommend that you read up on it yourself. Check out ADU Information Library for regular updates on the situation as it develops!